Military Music. 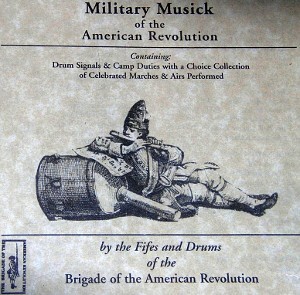 Drum signals and camp duties along with a choice collection of celebrated Marches and Airs. 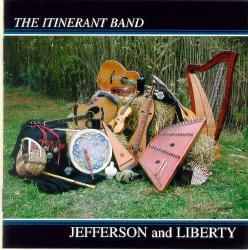 The Itinerant Band: Jefferson and Liberty. The band is made up of seven musicians from the Tidewater region of southeastern Virginia. They come from diverse musical backgrounds and have a shared passion for history that has led them to specialize in the music of early America. They perform tunes and songs from the Irish, Scottish, English and French traditions that would have been heard in 17th and 18th century America. In the spirit of the itinerant colonial musicians whose style they emulate, you may find as few as two or as many as seven of them at any given time and place performing everything from airs to sea shanties to dance tunes. 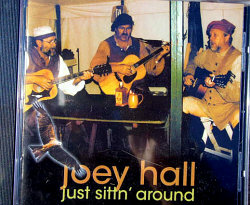 When all together the group consists of George Bame on guitar & vocals, Paul Brockman on fiddle & vocals, Bob Clark on hammered dulcimer, Susan Lawlor on flute, whistle, & recorder, Dave McNew on Appalachian dulcimer, bodhran & vocals, Mary Normand on Celtic harp, and Marsha Wallace on guitar, mandolin & vocals. The Itinerant Band. The Road Out of Town. The music ranges from the 18th into the early 19th century and features several examples of tunes and songs that traveled from old countries to new. Some of which are Robert Burns' anthem “A Man’s A Man,” love songs such as "The Blackest Crow" and "Down By the Sally Gardens" and several medleys of jigs, reels, and hornpipes. 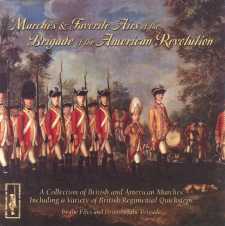 This album also includes three original ("neo-traditional") tunes inspired by 18th century musical style and written by members of the band. 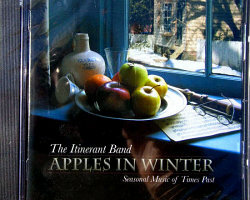 Itinerant Band: Apples in Winter. The band's long awaited third album is a compilation of music from various times and cultures in a celebration of traditions of Christmas and the Winter season. From France came the 13th century "Marche de Turenne," as well as the 16th century song, "Bring a Torch, Jeanette Isabella." From Scotland's musical heritage are a Shetland tune entitled "Christmas Day Ida Morning," Robert Burns original version of "Auld Lang Syne," and a beautiful Hebridian melody, "The Christ Child's Lullaby." England offered the wonderful dance tunes such as, "Chestnut" and "Parson's Farewell" from the 17th century English Dancing Master, as well as the popular "Gloucester Wassail." 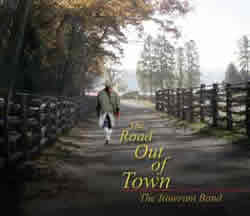 Turlough O'Carolan of Ireland composed dozens of memorable melodies and the band chose his "Carolan's Welcome" for this CD. Also included is the first carol written in the new world, the "Huron Carol", and from the rich musical history of Virginia came such tunes as "Breaking up Christmas" and "Cold Frosty Morning."